Are you tired of smiling with gapped, crowded, or otherwise misaligned teeth? Too many adult patients forgo orthodontic treatment due to their reluctance to wear metal brackets and braces for two or more years. Fortunately, your orthodontist in Melbourne, Dr. Beverly Rose, offers a method for straightening teeth that doesn’t require covering teeth with noticeable hardware: Six Month Smiles®. 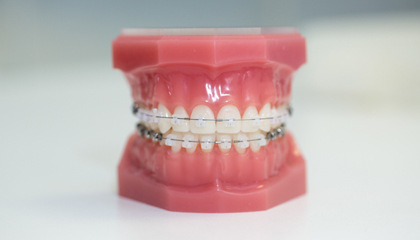 This highly effective method uses the same basic principles of traditional orthodontics -- like placing slight force on certain areas of the teeth to improve alignment -- but with an emphasis on producing faster results. With Six Month Smiles®, patients enjoy their straight teeth in far less than half the time of traditional braces. All while using materials that blend with your natural tooth enamel, so you can continue to smile with confidence throughout your treatment! How can Six Month Smiles straighten teeth in just half a year? Using clear brackets and tooth-colored wires, the approach concentrates solely on moving your front teeth. We call these teeth the “Social Six,” since they are the ones that show when you speak, smile, and laugh. Their proper alignment is important for your overall appearance. Because it only focuses on part of your bite, Six Month Smiles is best suited for patients who suffer more from cosmetic issues related to misaligned teeth rather than severe bite issues like overbite, underbite, and crossbite. Six Month Smiles® offers the same predictable results as traditional braces, and because its treatment is faster and it has a more limited scope, it is usually less expensive than other orthodontic options, too. 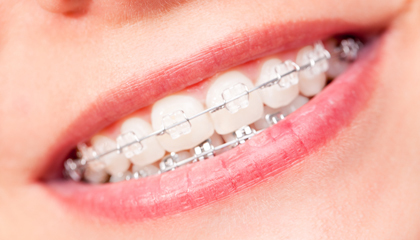 For eligible candidates, Six Month Smiles offers a number of advantages compared to other orthodontic options, like traditional metal braces or other clear braces methods. Six Month Smiles can be a wonderful solution for many adults -- especially people who had braces in the past but have noticed their front teeth start to shift over the years. This option is best suited for patients who are dealing with minor issues affecting the front teeth, like slight gaps, crowding or other misalignments. The only way to know whether or not accelerated orthodontics are right for you is to get in touch with your dentist providing Six Month Smiles. Dr. Rose will evaluate your dentition and consider your lifestyle and budget to determine which orthodontic method is best for you. If it’s Six Month Smiles, she looks forward to getting started right away! Let’s Discuss Six Month Smiles! You deserve a confident smile with straight, beautiful teeth. If you are interested in learning more about Six Month Smiles, including whether or not you are a candidate for this option, you are invited to request an appointment with your Melbourne orthodontist today.